Bethel Elementary was established between 1801 and 1810 and was built on its present site in 1964. It is now serving 900 students in kindergarten through 5thgrade and has been one of the top schools in the Greenville. The schools boasts a history of academic excellence including Palmetto’s Finest, Palmetto Gold, Red Carpet, SCPTA Parent Involvement School of Excellence, and the Greenville County Elementary Healthy School of the Year. It has a gradeschool.org rating of 9. The Bethel elementary school implements the principles of Continuous Quality Improvement to achieve success. Teachers utilize quality tools in their classrooms to enhance the learning process. 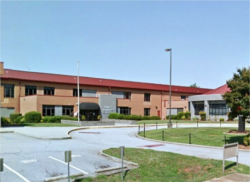 Browse our extensive Bethel Elementary School zoned real estate listings and find great deals and properties in Simpsonville, Greenville, and Mauldin including condos, townhomes, single-family homes, and more. By narrowing down your search, you’ll have more time to learn about those homes that fit your price range. When you find a home near Bethel Elementary School that really piques your interest, just send us an email or call our buyer hotline at 864-881-1258. Every community or subdivision assigned to Bethel Elementary School in Simpsonville, SC is unique in itself for various reasons. These subdivisions vary in price ranges, home features, and community amenities. Below you will find our list of featured neighborhoods and subdivisions in Simpsonville, Greenville, and Mauldin to help you get started in finding a home near Bethel Elementary School. If you have any questions about any of these neighborhoods don’t hesitate to contact us.